The strong, steady upslope serves as some confirmation of the bullish edge suggested by the numbers. 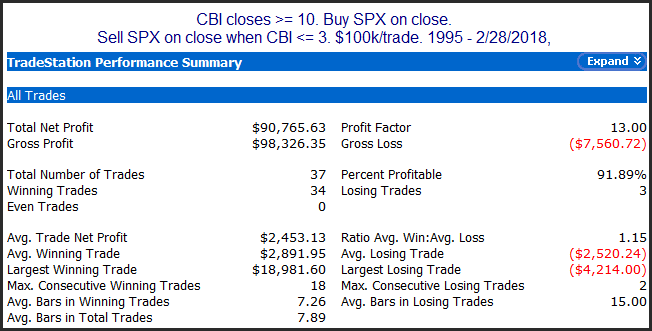 Even before starting Quantifiable Edges in 2008, the CBI was one of my favorite indicators for identifying selling capitulation that is highly likely to be followed by short to intermediate-term market rallies. And it has always been a staple at Quantifiable Edges. In fact, the 3rd post I ever did was about the CBI. Later this week I will be releasing the most detailed analysis I have ever done of the CBI. 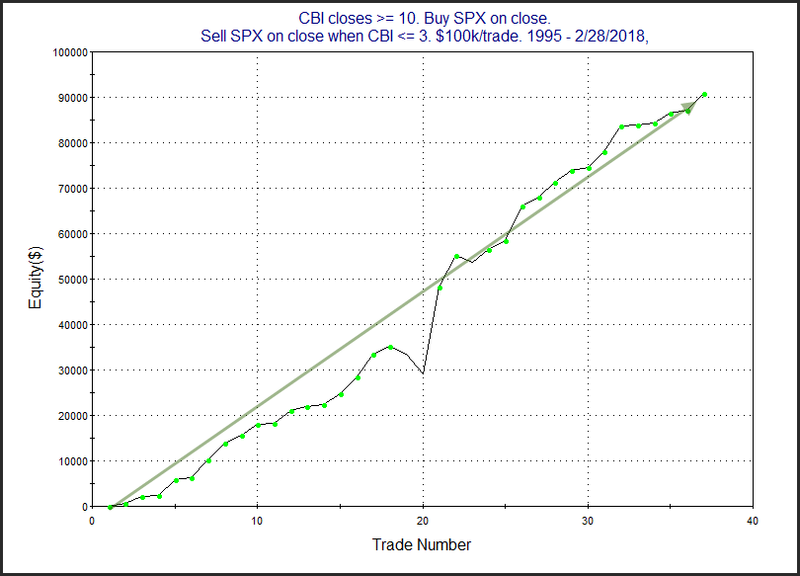 I will show charts of market action during and after every spike since 1995. 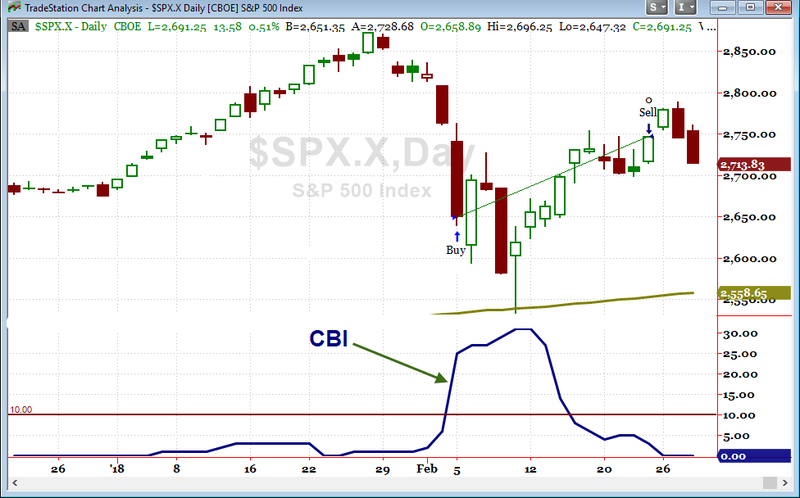 I will share a detailed spreadsheet with breakdown and stats of all such CBI spikes. 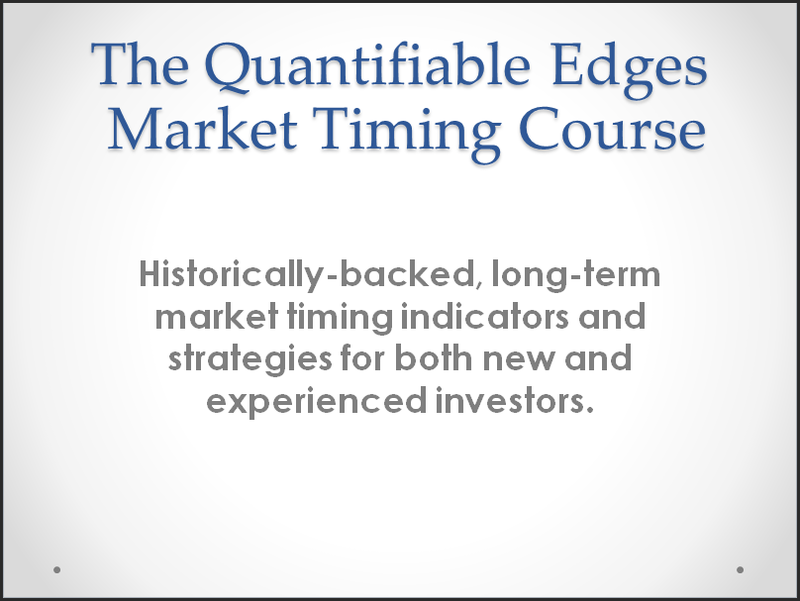 And I will show many additional studies as well as strategies traders can incorporate into their own methods. And it will all be free of charge. I’d encourage traders to keep an eye out for it.